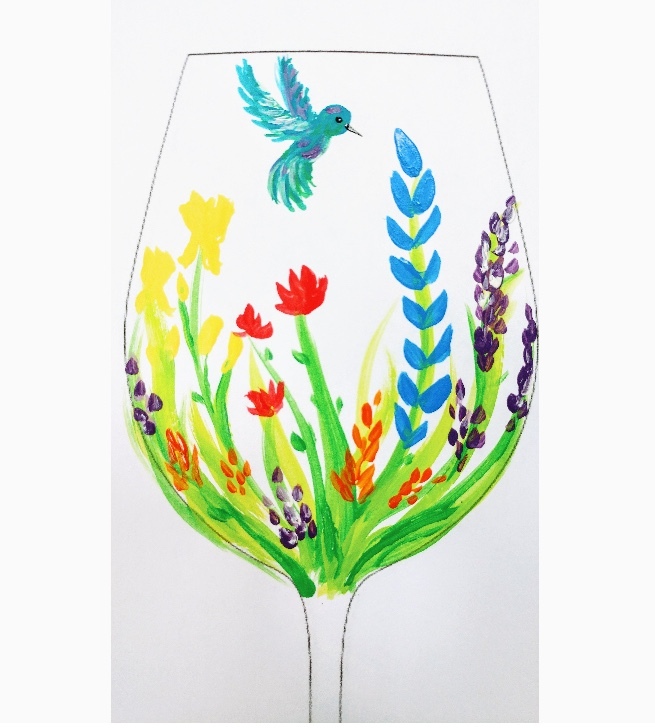 Paint our new Hummingbird Glass Design - perfect summer decor! Or bring in your own design from Pinterest or copy one or two designs from our amazing collection of painted wine glasses! NO discounts, codes or "thank you's" 10% on this already discounted class, thank you! Cancellation Policy: Due to the custom nature of ALL of our classes, NO REFUNDS will be issued for reservations! However, if you cancel with at least 48 hours’ notice your payment will be turned into a store credit that can ONLY be used for a future class. Please email us at princeton@pinotspalette.com to cancel. If your a no-show for a class that you have a spot reserved, or don't give at least 48 hours’ notice, you forfeit your reservation payment. By completing the check-out process, you agree to this policy.